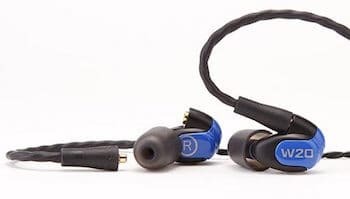 In-ear headphones are easily the most common type of headphones to use with smartphones for listening to music or podcasts. 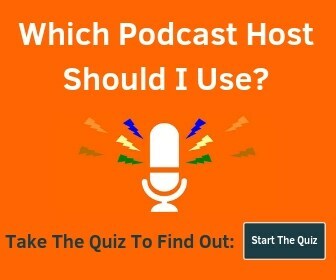 Check out the best podcast apps. They are small and light, making them easy to carry or travel with. 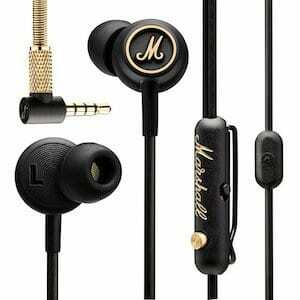 Audio quality is usually excellent, although that tends to scale with price (i.e. higher price = better quality) for the most part. We are going to highlight the best wired earbuds for music and podcast listening. We won’t be specifically highlighting active or sport models as that deserves its own post, although most will work just fine for light activity. 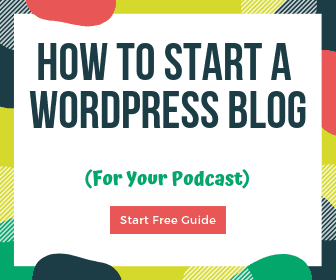 They are organized by price, so you can easily find something that fits your budget. Want to see the best closed-back over-ear headphones? The Westone W20 Dual Driver is the world’s smallest dual driver earbud with separate bass and high-frequency drivers. It comes with a nice carrying case, replaceable cable, and interchangeable faceplates. You also get 5 different sizes of ear tips for the perfect fit. The cable comes with volume control for iPhones, but you can get an Android version separately. 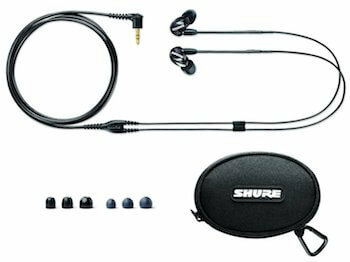 The Shure SE425-V in-ear headphones are also dual drivers with a frequency range from 20Hz – 19kHz. As you can see, it comes with a range of sizes and accessories. If you want accurate, reference-quality sound at a good price, check these out. The ‘under $200’ section is where you’ll find a great balance of sound quality and value. The Bang & Olufsen Beoplay H3 ANC earbuds are custom-built from a single piece of aluminum, making them very light and sturdy. They include active noise cancellation technology, in-line controls, and look great. They include memory foam ear tips and 4 different sizes of silicone ear tips so you can use whatever works and fits best. There is also a version without noise cancellation that costs a little less and comes in a few different colors. V-MODA is known for their award-winning headphones and unique designs. 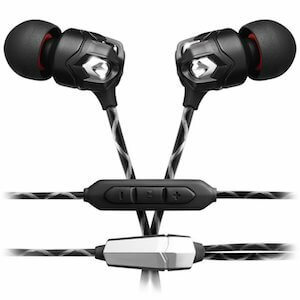 The V-MODA Zn is an excellent in-ear option from them that you can get with either a 3-button or 1-button in-line control. They come with detachable sport earhooks so you can use them at work, on the train, and on your run. They stress-test everything to extreme levels so you know these will last and not fall apart. Plus you get a 2-year warranty. 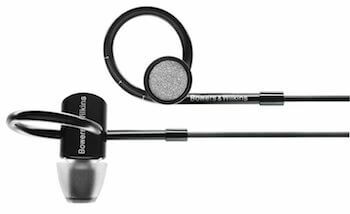 Bowers & Wilkins C5 Series 2 are designed to be used with an iPhone and the loop you see is meant to fit into the ridge inside your ear. You’ll get a 2-year warranty and great expansive sound. 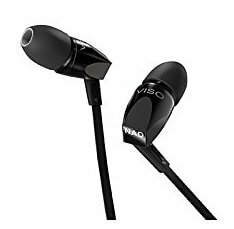 NAD Viso HP20 earbuds are noise isolating, come with a neoprene travel case, and has excellent sound quality. The midrange is clear, upper is tight, and low end isn’t blown out. 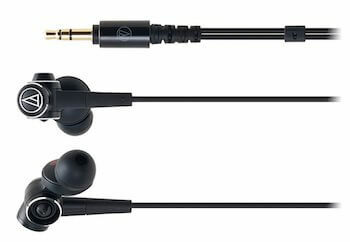 The Audio-Technica ATH-CKS1000 in-ear headphones are marketed as “solid bass” – clearly emphasizing the low end.The unique design has 2 air chambers that helps to increase the bass output while keeping sound quality high. 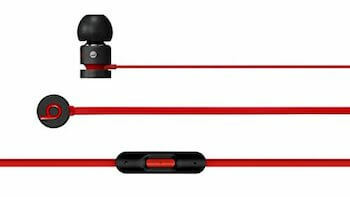 They come with a 2.6-foot extension cord that has a microphone so you can use it for phone calls or recording audio, 4 sizes of ear tips, and a carrying case. 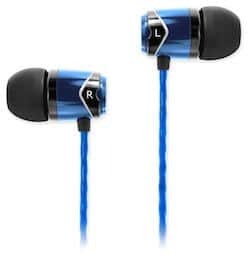 I mentioned the Westone W20 up top, and for about $100 less, the Westone W10 Single Driver offers a great value. Everything is the same except for the one driver vs two. 1MORE Triple Driver has (you guessed it) three drivers for under $100. That means you’ll have extremely accurate sound reproduction and clarity. They have been tuned by a Grammy Award-winning sound engineer, are THX certified, have a bunch of different ear tips, a nice case, and in-line controls. They also have an Apple Lightning version with an updated 5-in-1 controller, although that bumps up the price a bit. The Bose SoundSport are extremely popular wired earbuds that are designed to work out with. They are sweat and weather-resistant, have inline controls for an iPhone or Android (separate models), and come with unique ear tips that help them stay put. 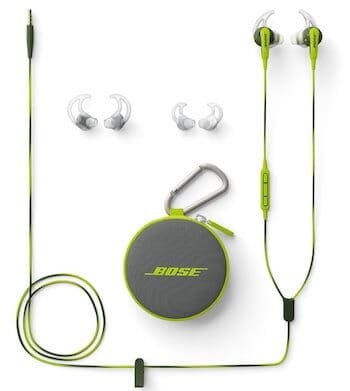 Bose offers the SoundSport in a bunch of cool color combos as well. Marshall Mode EQ lets you choose between two different sound profiles: EQ 1 for bass-heavy sound and EQ 2 for brighter sound with more emphasis on mids and highs. 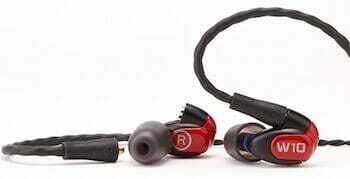 They come with a right-angle “L” 3.5mm jack, 4 sizes of ear tips, and an in-line remote and microphone. You can also get a version without the EQ settings for about half the price (see ‘under $50’ section). 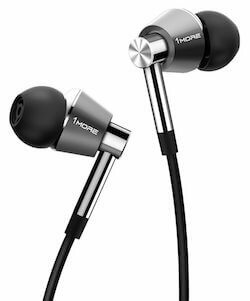 The Shure SE215-K are single-driver sound isolating earbuds with a detachable cable. They’re meant to be worn with the cable over the ear (and usually behind you) – which makes them perfect for Facebook Live or other similar live video applications so they aren’t distracting in your shot. The over-ear model of the Sennheiser Momentum got a mention in our closed-back studio headphone article. 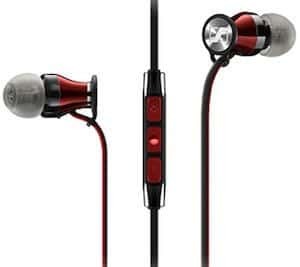 Sennheiser Momentum In Ear comes in both iOS and Android versions with a stainless steel housing, 2-year warranty, 3-button remote, and microphone. 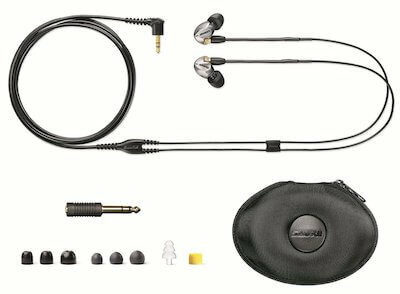 They come with 4 sizes of ear tips, a nice padded case, and a 1.3-meter cable with right-angle headphone jack. Personally, I’m not the biggest fan of Beats because you can usually find better quality headphones at the same price point as Beats, but they deserve a mention here. urBeats are made from a solid metal housing, come in a variety of colors, and come with in-line controls and microphone. 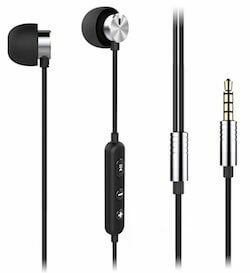 SoundMAGIC E10 wired in-ear earphones are highly rated for the price (under $50) and come in 5 different colors. The housing is made of metal and you get a wide frequency response from 15Hz to 22Khz. No in-line controls here. Marshall Mode is the non-EQ version that comes in all black, with a single-button remote and microphone. Senzer S10 is a highly-rated pair of earbuds for under $30. 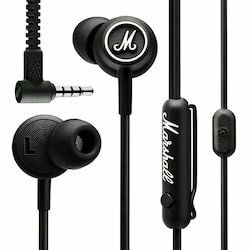 With a solid metal housing, great sound, in-line controls, and a bunch of size options for earbuds, this is a killer value. If you’re on a budget or want something that you would be OK losing (I know it’s happened to me more than a few times) – these are great. 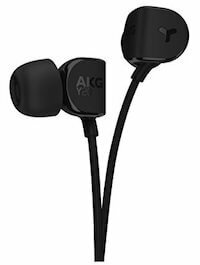 Last, we have the AKG Y20 in-ear headphones. They come with 8mm drivers, three sizes of silicone sleeves, and a carrying pouch. You can find them in a number of different colors as well.